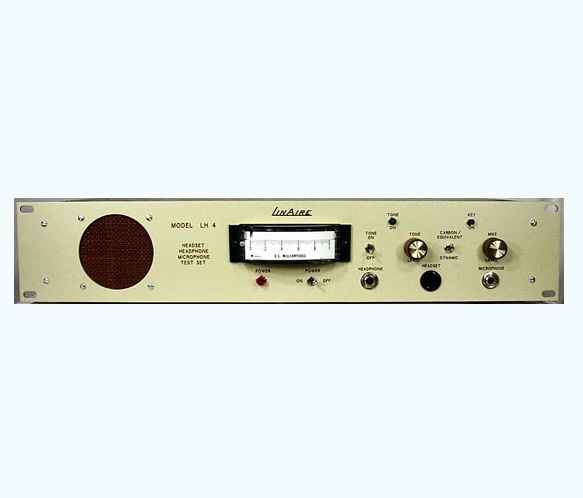 Aero Express is an Authorized Distributor for the LinAire LH-4 Test Panel. Aero Express will buy, sell, trade the LH-4 depending on your needs. With the LH-4 testing can be performed using voice and/or the internal Tone Generator when testin any unit or combination of units. Evaluation of the Unit Under Test (UUT) can then be made using the LH-4 panel Speaker, Meter an other panel indicators. Express Calibration is an Authorized ISO-17025 Calibration and Repair shop for the LinAire LH-4. Visit www.expresscal.com for full capabilities.